The laser effect occurs at the damaged tissue caused by degenerative and dystrophic diseases of the joints. Activates the regeneration process. Therapy can significantly reduce swelling, relieve pain, it has anti-inflammatory effect and a positive effect on the immune system. Used two types of laser light - red and infrared . Infrared radiation differs deeper penetration through tissue, and red laser is increasingly used for the treatment of superficial disease. 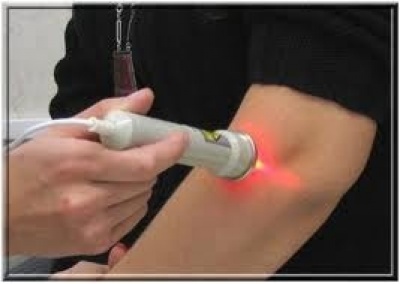 Laser therapy in Germany is often combined with other types of physical therapy to achieve the best results.